Welcome to The Debuts, a series of posts introducing you to brand spanking new authors you really should get to know. Byrt: If one of the top Hollywood voice-over guys was narrating your book trailer (in a hammy Hollywood way), what would he say? Sarah: 16-year-old Imogen thought her black belt in Tae Kwon Do made her stronger and more capable than other people. But when she freezes up at an armed robbery and someone is killed, she must determine whether martial arts failed her or she failed it. Guilt-ridden and numb, she decides to teach another student how to fight. Byrt: So what’s the story behind your story? Sarah: When I was a kid (way back in the ’90s) I loved X-Men, and I’m also a black belt in Tae Kwon Do, so I wanted to write a book about a girl who could conceivably do “super hero things” in a real way, in the real world. Byrt: The silliest/craziest author moment you’ve had so far? Sarah: When I went to NY for a writing conference I was escorted out of the Random House building for gawking at the bookshelves. Their offices have these beautifully lit shelves along the wall that you can see from the outside, but you’re apparently not allowed in without an appointment (as I learned :). Luckily my own publisher (Abrams/Amulet) let me gawk to my heart’s content when I visited my editor, Maggie. A good thing, too – their artwork is to die for. Sarah: The Secret History by Donna Tartt. It’s a beautifully written book set in a small east coast college in which a group of students murder another student and get away with it. We find all this out in the prologue! BEST PROLOGUE EVER. Byrt: Book(s) you’re reading right now? Byrt: Biggest Fangirl/boy moment you’ve ever had? Sarah: I never approach anyone now that I’m a jaded Angeleno, but many years ago at a screening at the Sunset 5 in L.A. I saw a soap actor and gushed at him. Byrt: The TV show/movie you feel guiltiest admitting you love? Byrt: First song lyric that comes to mind right now. Go. Byrt: What’s up next for you? 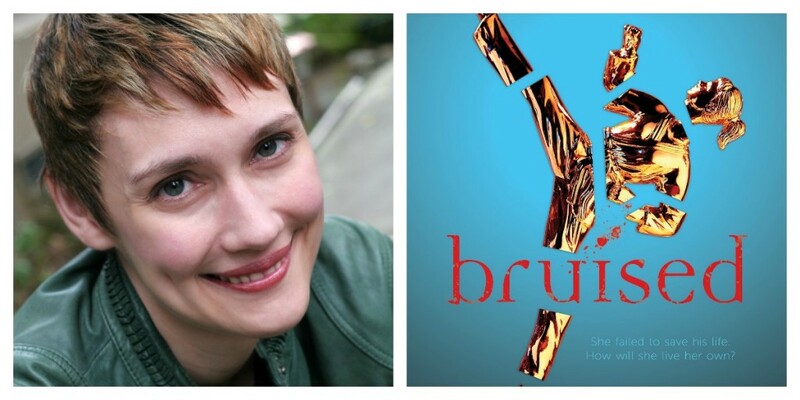 Sarah: My next Young Adult book, also to be published by Abrams/Amulet Books, is called High and Dry. It’s a mystery about a high school soccer player, a boy this time, who finds himself in a metaphorical quicksand of never-ending trouble. He’s framed for a stranger’s near-fatal overdose at a party, blackmailed into finding a missing flashdrive that everyone at school seems anxious to suppress, and pressured to throw a big soccer match, all while trying to win back the girl of his dreams and escape a past that may be responsible for all his current problems. It will out in 2014! Thanks again to Sarah, for taking the time! For more on Sarah, you can find her website here. And you can check out an excerpt from Bruised here. It’s always an inspiration to see a young author “get it done”. I hope to be interviewed for this series someday soon! I too am a product of the 90’s (what happened?) an look forward to your promising career! 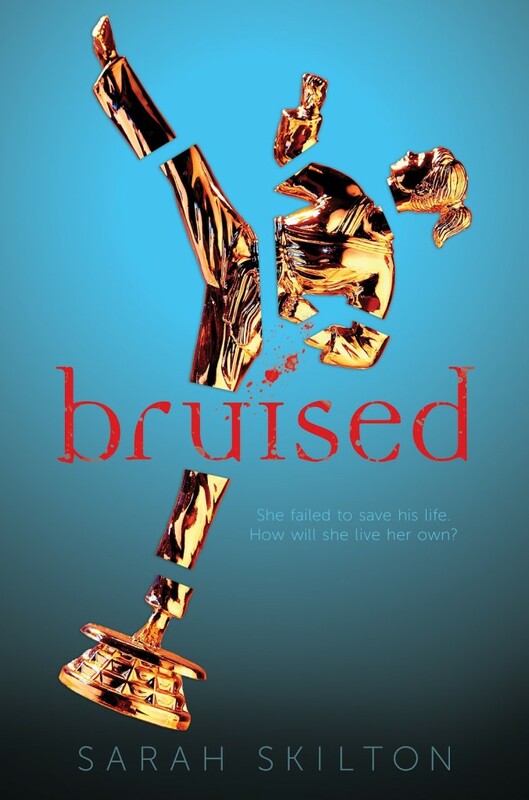 Now off to Amazon for “Bruised”! Thanks, Chris! I really appreciate the note, and I hope you enjoy Bruised. Viva la 90s.